The Axo Light Favilla light is suitable for both wall and ceiling fitting and includes a 360° directional wall light with a directional head. 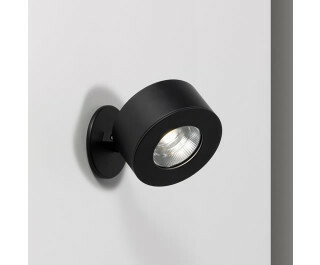 They are made of aluminium alloy with an opaque black painted finish and use a High Power LED bulb (1 x 9W). The light is available in a standard or a recessed version. Finished in black or white.